The fifth annual Walktober Step Challenge kicks off Monday, Oct. 1. Last year 50 teams from several Ponca City businesses signed up to get more steps in for Walktober. Businesses represented included Cookshack, Alliance Health and Dorada Foods. 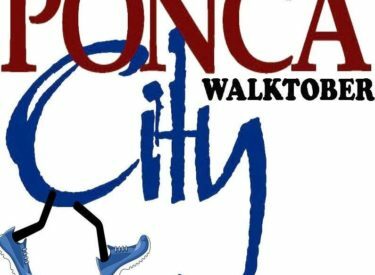 Walktober is a walking (or any kind of movement) challenge for businesses in Ponca City. Get a work team of five people together, sign up and get to stepping. Teams will be able to sign up Monday during the kick-off which takes place at the United Way office from 10 a.m. to 1 p.m. with a live radio broadcast, snacks, whiteboard pick-up and health information from TSET Healthy Living, Community Health Foundation and other partners from the Kay County Healthy Living Coalition. Whiteboards will be used at each business location to track steps. Team steps will be reported to the Walktober Crew on Monday and team totals will be posted on the Walktober Facebook page each Tuesday. This year Dr. Brooke Stough, DPM, a Podiatrist with St. Mary’s Physician Associates, is a sponsor for Walktober. Stough, a third generation physician, has recently opened an office here in Ponca City. She will be supplying foot care tips and early warning signs of foot issues throughout the month. “Proper foot care during exercise can prevent many injuries,” Dr. Stough told the Walktober Crew. “People don’t realize the amount of pressure that is put on their feet while exercising.” Stough recommends a good supportive running shoe, even if you are a walker. Walktober is the whole month of October and a great way to get moving as fall shifts into the holidays. For more information, follow Walktober on Facebook, attend the Kick-off or call the United Way office at 580.765.2476 and ask for Jenny or Katie to get your team registered.